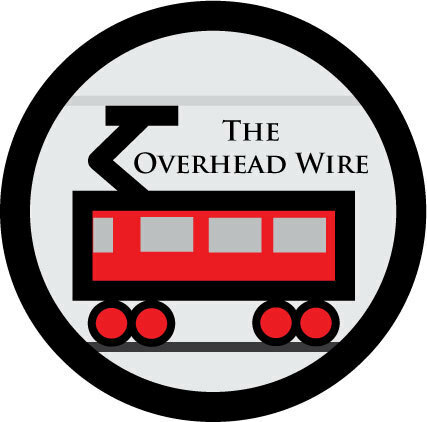 The Overhead Wire: Why Not the Gas Tax? Why Not the Gas Tax? Why isn't raising the gas tax the answer? It's not like gas prices aren't going to go up $2 at some point. It's silly to say we're not going to raise gas taxes 10 cents when two dollars will happen in a summer. If there is such a pressing need for transportation money, this should be a viable alternative. The money is going to leave your pocket in either tolls or gas tax money or mileage tax money. Why not leave all options on the table? by David Horsey captures your thought and answers your question as to why not. I agree, btw. Also, how can we trust that the gas tax will go back down when prices go up? Well Morgan, if you want to do it that way just index it. Why not just make it a percentage of the bill rather than a flat ten cents or whatever. That way it doesn't have to be political anymore. When prices go up, the gas tax goes up. Nick C, that cartoon makes a great point that is really annoying but real. Just wish they would get mad at the Saudi's and Oil companies first! Morgan: flat gas taxes make the impact of higher gas prices smaller in percentage terms - for example, it increases them from $5/gal to $7/gal instead of from $2/gal to $4/gal. When families have a set budget for gas, this means a smaller impact in absolute terms, too. If having $5/gal gas in low-price times means families switch to more fuel-efficient cars and drive less, it means that they consume fewer gallons, which then translate to less extra money they have to pay in high-price times. Obviously, the family in question has to pay more money in gas taxes. But these taxes increase government revenue, which will either offset other taxes, like income and payroll taxes, or go to more government programs, which can offset some private costs like health insurance and student loans. We don't want the tax to go down when prices go up. Since gas prices are highly cyclical, any adjustment of gas taxes to help folks out with high gas prices would lead to varying, unpredictable revenue. The results of such a funding source can be seen with property and sales tax right now. I've wondered about a tax rule that says that companies can increase the price whenever they like, but once that price is reached, the government maintains the tax such that the price doesn't drop (obviously there would need to be a fixed percentage tax as well as the rational behaviour is to sit at the set price). This would provide a tremendous disincentive to fluctuating prices and make companies far more cautious about increasing prices. because it is political suicide..
Government just needs to spend less on roads.